The Shelti 200 is similar to the Shelti 100 but it counterbalanced foosball men allowing you to position them horizontally for 1 vs. 1 games and they will hold their position. 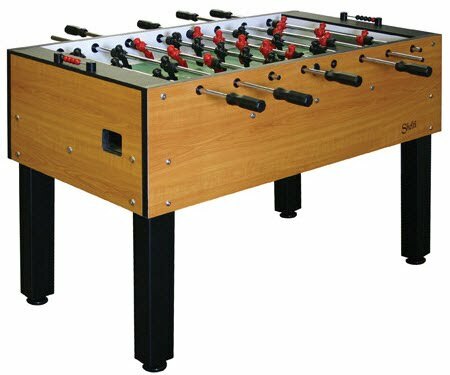 Overall, the Shelti 200 is a good quality table with a solid set of foosball table features. Other positives for this table are the adjustable leg levelers, the octagon foosball handles, and the solid play surface with 3 man goalie. This table isn't as expensive as some of the other Shelti tables because the cabinet is more thin. 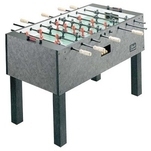 This foosball table is priced at around $860 US.